Today’s highly competitive markets have made customer experience and customer satisfaction their favourite mantra. And there is a good reason for that. Studies show that customer experience is the main driver in growing engagement with a specific brand. And with today’s consumers spending more and more time in the digital environment, the experience they get interacting online with the brands becomes more and more relevant. State of Digital Business Report shows that a good digital experience makes the customer six times more likely to try a new product or service from their preferred brand, four times more likely to refer the brand to their friends, family and connections and two times more likely to make a purchase with their preferred brand (even if a competitor has a better product or price). Businesses shifted the way they interact with customers and how they provide the consumer with a consistent experience, regardless of time and location. This brings us to the topic of integrating digital technology into all areas of a business, resulting in fundamental changes in how a business operates and the value it delivers to its customers. Digital transformation has long moved beyond nice-to-have. 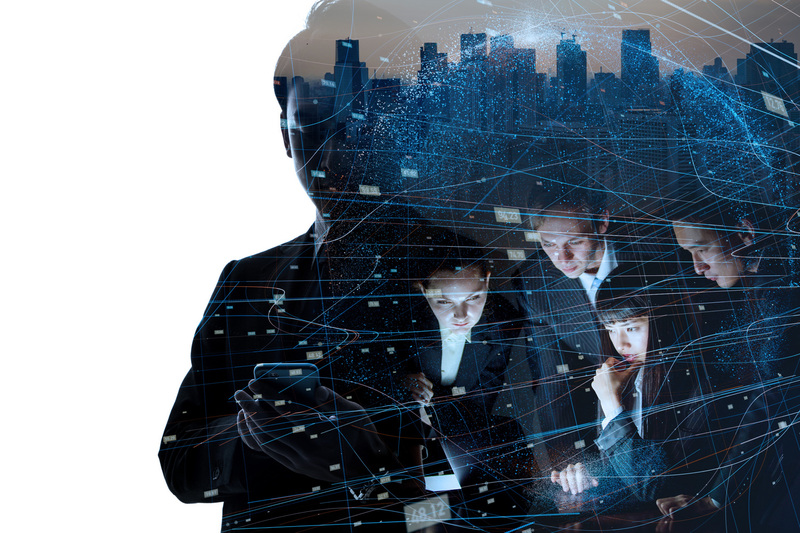 Once a top priority for early adopters and cutting-edge enterprises, digital transformation has moved into the mainstream and today few could argue that going digital is vital to the success of their organizations. An MIT study found that companies that have embraced digital transformation are 26% more profitable than their peers. This comes from highly engaged customers, who buy 90% more frequently and spend 60% more per purchase. This is a huge revenue opportunity, directly linked to digitally transforming the business. Also, State of Digital Business Report revealed that 47% of companies haven’t started their digital transformation yet, while 59% are worried that it might already be too late for them. And there’s good reason to worry. The same study found that 55% of businesses believe they have less than a year before they start to suffer financially and lose market share. Nearly half of all organizations cited customer experience and customer satisfaction as their leading influences in the decision to implement a digital transformation strategy. That’s because digital transformation offers organizations an opportunity to understand the modern-day buyers, engage with them and deliver on their expectations of a multi-channel customer experience. Because of the opportunities that rise from using modern technologies, customers often rate organizations on their digital customer experience first. To accommodate the new, modern-day buyer, businesses need to think digital first too. Digital first requires you to rethink how you interact with your customers and that’s because you first need to understand who this new kind of digital customer is if you want to deliver a better customer experience. Digital transformation offers organizations an opportunity to engage modern buyers and deliver on their expectations of a seamless customer experience regardless of channel or place. One of the biggest challenges in digitally transforming a business is flexibility, adaptability of your new system to the ever-shifting business environment. And this is exactly what Tremend does, by using the Agile model of digitally transforming a business. It is a model that aims first at frequently creating value at a reduced cost and risk. It creates a flexible IT environment through cloud solutions that enable you to be agile and meet customer demands quickly. By easily connecting cloud applications such as customer databases, Big Data analytics, web and mobile apps, you can digitally record all touch-points to create a 360-degree view of your customer. By using this data, you will learn how, when and why your customers do business with you and from it you can deliver an improved customer experience. Besides the inherited flexibility of a cloud solution, personalization is another key point in the consumer-oriented Agile transformation model. Studies show that customers prefer organizations that treat them as unique individuals and know their personal preferences and purchase history. Delivering the right message, to the right person, at the right time brings us to another success factor for digital transformation: a seamless, multi-channel experience. Everything is now happening in real time, which is why those companies that can offer immediacy, personalization and accessibility to their customers will win out in the long-run. Today’s consumers are not tied to a single channel. They go in-store, browse and shop online, share feedback through mobile apps and ask questions on social media networks. To conclude, digital transformation is about revolutionizing the way business is done and future-proofing your organization for internal changing factors, external competitors, industry trends and new technologies. With this in mind, an agile approach will ensure all teams involved can quickly adapt and deliver value often, the key to not just survive but grow in a rapidly developing digital world.